In a country where conservation does not rank high in the list of development priorities, an international conservation watchdog had to rescue more than 10,000 tortoises in a single sting operation. Madagascar is a land of stark contrasts, much like its African cousin, Namibia, on the opposite side of the continent. Whereas conservation is one of the pillars of community development, in Madagascar it is a matter of grab and sell. This became evident earlier this month, when the Turtle Survival Alliance mustered the help of many experts from zoos and aquariums to try and save as many as possible of the discovered tortoise cache. 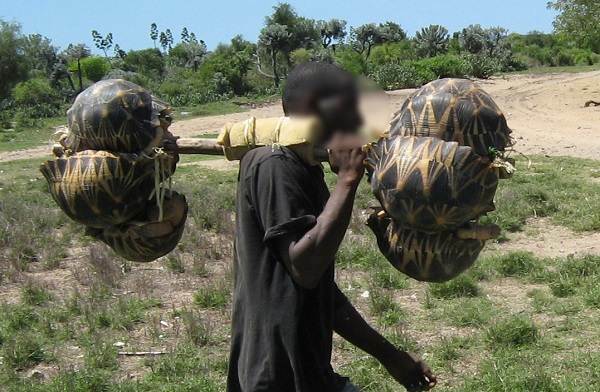 As far back as 1999, the World Wildlife Fund described tortoise smuggling as a national pasttime in Madagascar. Although two women was jailed for collecting tortoises in 2010, it has helped little to stem the tide. The fund estimates that as many as 1000 tortoises per week may be collected in some parts of southern Madagascar. The Turtle Survival Alliance said some suspects have been arraigned last week by Madagascar’s Directeur Regional de l’Environment, de ‘Ecologie et des Forets (DREEF), the island’s conservation law enforcement authority. “It is believed that the tortoises were collected for the illegal pet trade, possibly for shipment to Asia where the tortoises’ high-domed shell featuring a brilliant star pattern makes them highly prized. It is estimated that radiated tortoise populations in the wild have declined more than 80% in the last 30 years. At this rate of decline, it is estimated that the radiated tortoise could be functionally extinct in the wild in less than two decades,” stated the alliance. The alliance’s staff in Madagascar has been working non-stop to relocate the thousands of animals to a wildlife sanctuary near Villages des Tortures but its resources are overwhelmed. 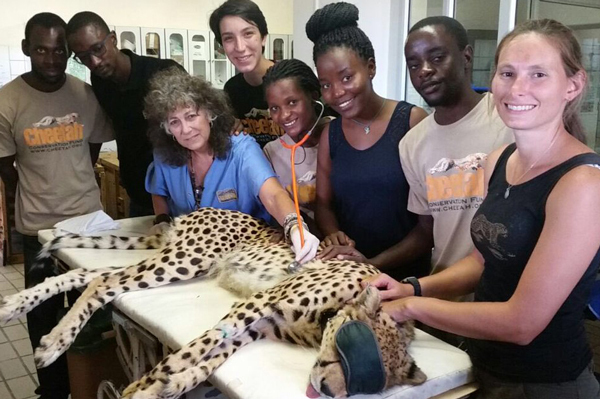 For this goliath rescue mission, the alliance is support by more than a dozen organisations accredited by the international Association of Zoos and Aquariums. Given the scale of the rescue, the turtle alliance expects to send additional teams of veterinary experts from the United States to Madagascar over the coming weeks and months.